Make your own mascot or logos keychain. Using high-quality PVC rubber material that does not lose its shape when it was put carelessly in pockets or bags. Custom keychains are popular and ideal keepsakes for fan clubs as well as promotional giveaways. •Function:Commonly used as promotional gifts, advertising gifts, decoration articles, tourist souvenirs etc. √ Testing requires detail, if need. We only Eco-friendly PVC to manufacturing rubber keychains,can pass environmental certification testing. EU /USA /JP approval standards. 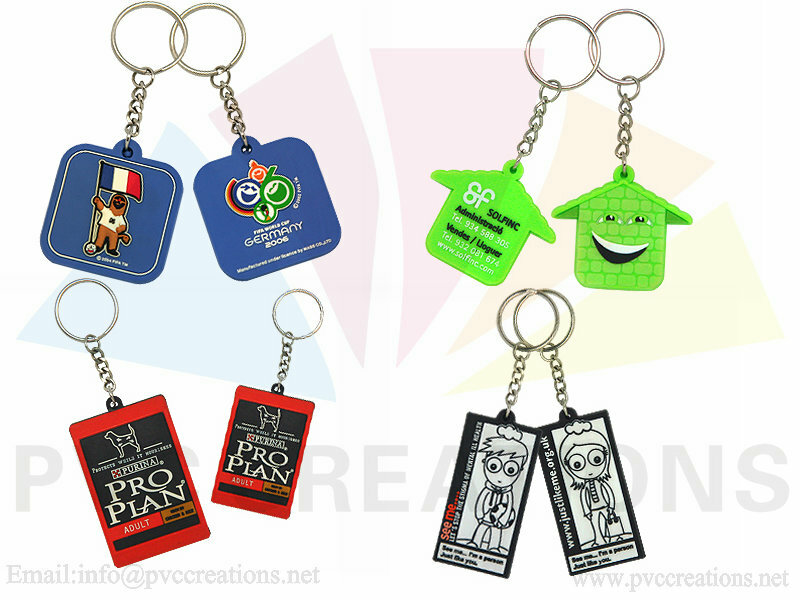 Why use PVC to custom keychains?